Firstly I put “expert” in inverted comas because my understanding is due to personal experience and research, I don’t have a psychologist or psychiatrist qualification. 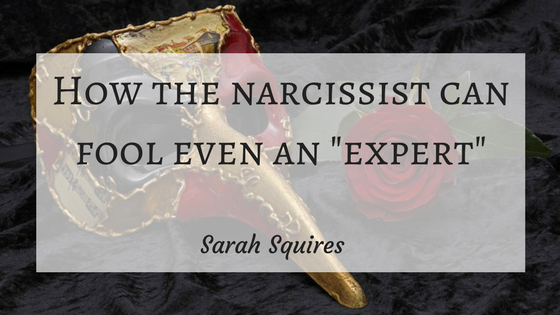 However I do know a lot about narcissistic behaviours and felt I should have known better. Well over on Twitter I was tagged in a post which in a nutshell stated that Parental Alienation was made up by men to further abuse women. I must admit that triggered me. From experience, women are just as capable as men of alienating the other parent and I know how devastating that can be so I replied to the post saying that PA is a very real issue and both men and women can experience it. I said I felt it was unwise to make it about gender. They retaliated with lots of claims about how women are abused by everyone when they make claims of domestic or child abuse. Again I reiterated that it wasn’t a gender issue. This carried on for a few days and I began to see that they were no interested in a healthy debate, they simply wanted to win (which I pointed out to them). Now at this point my advice to clients is always ignore and go grey rock, don’t feed them. I kept responding to their more and more outrageous claims – at one point they actually used the phrase “men are physically stronger” to support their argument that all men are abusers and all women are victims. I attempted to reason with them that gender stereotyping is dangerous but they kept coming back with two tweets at a time. And I kept taking the bait. Until they accused me of gaslighting. That was my jolt that I needed to step away and cut contact. Which is exactly what I did, asking them not to contact me again to which they responded with some more insults and now they have blocked me (they still follow me though). I share this not to name and shame but just to highlight how easily I was drawn into their supply. Their comments triggered me and before I knew it I was down the rabbit hole! I recognised their behaviours but still engaged, fuelled by my passion to try and help them see how dangerous their statements were. If they had presented their cause in a less alienating, controlling and aggressive way, I would have enjoyed listening to their perspectives. But instead I was left feeling like I had let myself down by engaging with them. So if you are struggling with enforcing those boundaries, I understand. It happens so easily that you don’t even know what is going on until it is too late. So don’t beat yourself up. Remember that they are very clever at knowing which buttons to press and how to engage you. And if you do find yourself embroiled, get out as soon as you recognise what is going on. It’s never too late to go grey rock. If you’d like any help in dealing with narcissistic abuse or parental alienation, please do get in touch at enquiries@thenurturingcoach.co.uk or join our Facebook Group.